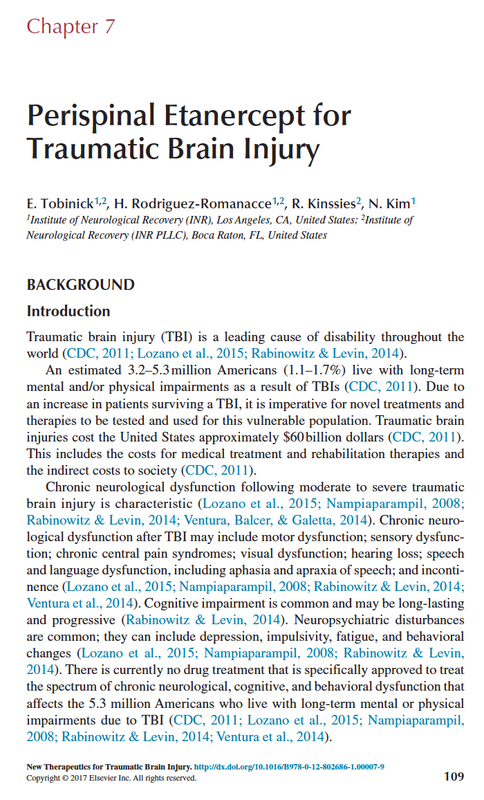 Edward Tobinick, Rodriguez-Romanacce H, Kinssies R, Kim N. PSE FOR TRAUMATIC BRAIN INJURY. Chapter 7 In: Heidenreich KA, editor. 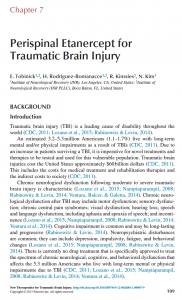 New Therapeutics for Traumatic Brain Injury. Cambridge, Mass. : Academic Press; 2017. p. 109-29. LINK. (first published October 2016).